All items are shipped with delivery confirmation so you never have to wonder where your package might be. We have been selling online since 2002, and always take care of our customers. We recently decided to start a separate store for our newest items, which are all handmade. Due to the nature of the items we sell (handmade, one-of-a-kind items), we do not accept returns. We've been selling online since 2002, and know how to take great care of our customers! Beth's Quilted Creations offers wonderful handmade quilted ornaments of all kinds. We offer different themes, great for giving someone special a gift that reflects their interests. Ornaments are not just for Christmas! Many people display them year-round from special ornament stands or smaller trees. Each ornament is handmade, so no two will ever be completely identical. We are now carrying sensory mazes as well - items made for children and adults with special sensory processing needs or those in need of hand therapy. We will be listing new designs on an ongoing basis, so be sure to let us know if there's a theme you wish to see. I hope you'll save our store as a favorite, and come back to visit us often. food or soup cups, as well as cold ice cream containers. 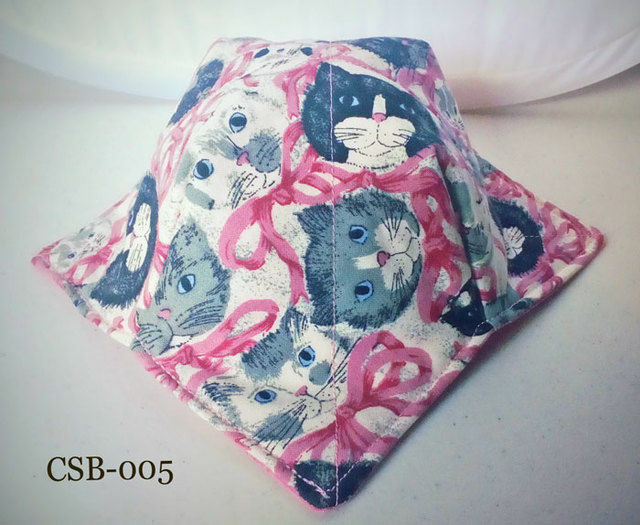 Made of 100% cotton, this cozy has two fabric patterns and is completely reversible. with cats in pinks, mauves and grays. The second fabric is a tone-on-tone pink. 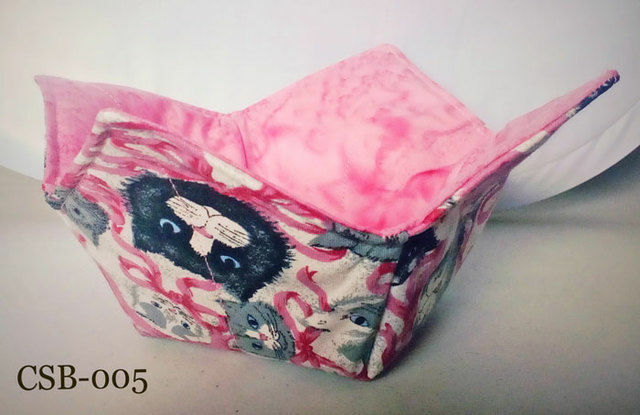 The cozy is stitched with coordinating 100% cotton thread. The batting is Wrap-N-Zap® brand microwavable cotton batting. of three (3) minutes in microwaves with turntables only. 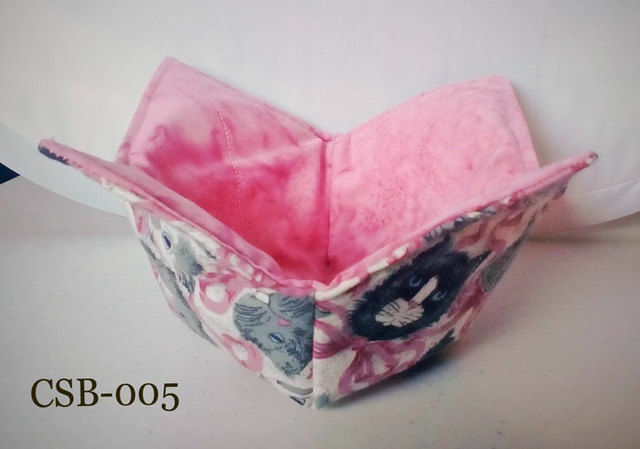 These cozies also make cute, useful teacher or hostess gifts! As with all handmade items, each one will vary slightly. letting them air dry, rather than tossing them in the dryer. to anyone who might have severe feline allergies. We ship ALL items with delivery confirmation.